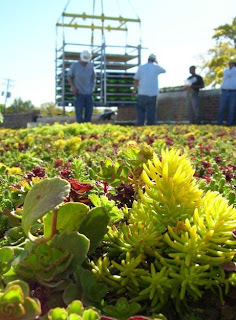 GoSustaino: What's on your roof? 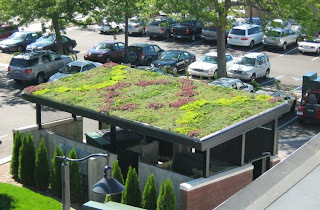 1) The bottom line is that having a green, living roof system contributes up to 20 LEED certification credits (of course depending on the size of the roof and choice of features installed). That means tax rebates and social benefits! 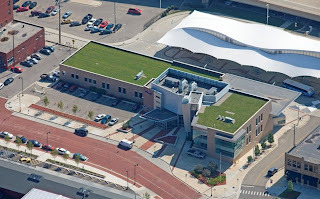 2) More importantly, theses green systems reduce the cooling costs of major buildings and manage storm water runoff that helps to extend the life of the roof itself. In this down economy, who wants to pay for a new roof? Not a cheap buy. Sure the list goes on about environmental benefits of noise reduction, fire prevention, water conservation, and energy conservation; however, ultimately this upfront investment will yield profit and savings in the long run. Water, Pipes and Tubes-Oh My!